How can I ensure that the UGG® product I purchased is authentic and not counterfeit? To start a return please review our return policy and follow one of our easy return links. UGG® provides a manufacturer's limited warranty against defective materials and workmanship for one year from the date of purchase. This warranty only applies to authentic product purchased directly from ugg.com, through our call center (888-432-8530), an authorized retailer or one of our UGG® flagship stores. The warranty does not apply to normal wear and tear or variations in color. For products that contain sheepskin, it should be noted that sheepskin is a natural product and the absorption of color dye may vary slightly within various areas of the material. Please allow up to twelve business days from the date that the package is received to fully process your return. While this is the maximum amount of time allotted, the majority of our returns are processed within five days of being received at our warehouse facility. 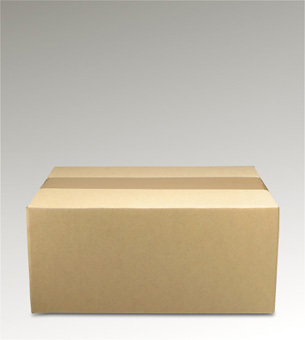 All packages are processed in the order received and will be processed as requested on the return slip. Please note that we cannot make a change to an exchange/refund that is currently being processed by the warehouse. Orders shipped via UPS Air service will process the same business day (excluding Saturdays, Sundays and major holidays) when the order has been received and payment has been verified before 2:00 pm ET (GMT-5). If the order is received after 2:00 pm ET (GMT-5), shipping via UPS Air service will process the following business day. All UPS packages are delivered on business days only (excluding Saturdays, Sundays, and major holidays). View our shipping rates and transit times. All UGG® items are shipped directly to the consumer from our warehouse in California. If you receive a product that has been shipped directly from another country – China, Vietnam etc. – unfortunately you have purchased from a counterfeit site. These sites work extremely hard to duplicate our site making it difficult for you to know you are purchasing from a counterfeiter. The order confirmation may be in very poor English, the quality of counterfeit products is significantly inferior to authentic product and they do not adhere to the same high manufacturing standards that we do, including the use of approved chemicals, etc. No, UGG® does not price match with other retailers or website offers. Additionally, we do not adjust pricing of previous purchases to match promotional pricing. All credit cards are verified with the billing address registered to the card. It is extremely important that you enter all requested information exactly as it appears on your billing statement. "Virtual" credit cards purchased at department stores or via the website may not work if they do not have the ability to store a billing address with the card. This security feature exists for your protection and if the card cannot be validated the order will be cancelled. For this reason, we do not recommend the use of "virtual" credit cards when ordering from UGG®. In the event of a voided order an email will be sent to the associated account notifying of the order cancellation. Duties/taxes and any applicable brokerage fees apply to the entire amount of the order, including shipping and handling fees. UGG® does not set these fees. The government of the designated shipping destination determines duties/taxes and brokerage fees. The amount that needs to be collected is calculated by UPS (our shipping courier) in accordance with the government regulations for the country that the item is being shipped to. These fees are collected by the courier prior to delivery then submitted to the appropriate agencies by the courier as determined by law. Provided that a valid email address was entered when placing the order we will email you after the order is placed. The initial email serves as a confirmation of the order details. Once the order has been processed and shipped by our warehouse you will receive a second email containing the shipping tracking number. Please note – the tracking information provided in the email may not be available on the UPS website immediately. If you cannot find a status for your tracking number online, please check back for updated tracking information ten hours after receiving the initial email. If the tracking number still fails to track the package after this duration of time please contact our customer service department at 888-432-8530 so that they can investigate the situation further. While we pride ourselves in processing orders quickly and efficiently, unfortunately once your order has been confirmed we can no longer cancel or modify the order. Once you receive your order you can make a return for a full refund and replace the order. Yes. Sales tax will be applied to online purchases made by customers in all states in accordance to state/city/county regulations. Sales tax is charged based on the shipping address of the order. Sales tax will apply to online purchases in the following states - Arizona, Arkansas, California, Colorado, Connecticut, Georgia, Oklahoma, Florida, Hawaii, Illinois, Massachusetts, Nevada, D.C., New York, Texas, South Dakota, Vermont, Utah and Pennsylvania. We make every effort to maintain an ample supply of our stock. If an item is discontinued it will be removed from our website. If we are currently out of stock but are expecting further stock to become available you will find a back order date listed on our website. This is an approximate date that we are expecting the item to arrive in our warehouse and it is not guaranteed. We do have a list of authorized websites where you might be able to find the color or size that you are looking for. In addition, we list authorized retail stores that may have what you're looking for in stock. Please note, retail stores do not carry all lines/styles and colors so it is recommended that you contact the store prior to visiting to determine if they have the color/size you are looking for. View our authorized website directory. View our complete list of care and cleaning details. Our prices are listed in Canadian Dollars ($CAD). If you would like to determine the approximate cost in another currency, we suggest you utilize an online currency converter, which will give you an estimate of the cost. Keep in mind that currency rates fluctuate daily, and your card will not be charged until the order actually ships which could result in a variation in the rate on the day of shipment. The presence of counterfeit products in the marketplace is an unfortunate reality for many luxury brands including UGG®. Though we aggressively pursue removal of this product through various means, please be aware that there is still counterfeit UGG® product being offered to consumers primarily through online websites, auction sites and trade boards. If you are viewing UGG® product online anywhere other than ugg.com and the domain name includes "UGG®", or any variation of this word, or includes one of our style names in the domain address, e.g. "Cardy", you can assume the product is counterfeit. If you do not buy UGG® product from ugg.com or one of our authorized retailers listed in the Dealer Locator you should assume you are purchasing counterfeit product. Furthermore, if you are purchasing online and delivery to you is scheduled from anywhere other than the U.S. the product is suspect. We do not ship any product directly from China. While we do have overseas manufacturing, all products are shipped to the US where it goes through our quality control process. Our manufacturing facilities are strictly controlled under US labor regulations. Once you have received counterfeit product it is often extremely difficult to obtain a refund. Essentially, because you ordered a product and received a product, you may have a difficult time trying to dispute the charge with your credit card company. UGG® cannot help you with any credit card disputes for counterfeit product.